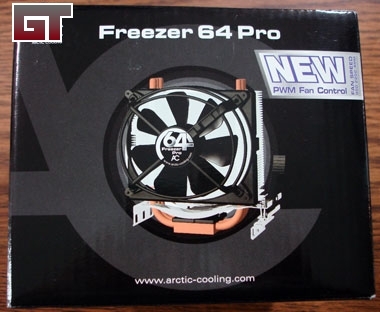 When Arctic Cooling sent us the Freezer 7 Pro that we tested earlier, they also sent along its AMD-oriented brother, the Freezer 64 Pro. 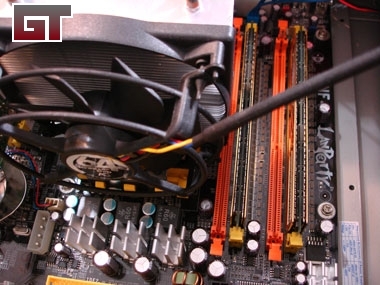 The two heat sinks are nearly identical, so Arctic Cooling helpfully puts a 7 on the Intel model's fan sticker (perhaps for Socket 775) and a 64 on the Opteron/Athlon64 model. Interestingly, the box for the Freezer 64 is slightly larger than the box for the Freezer 7, but this is only noticeable when they are right next to each other. 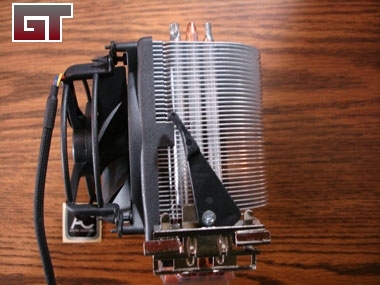 This heat sink also comes with a specialty fan that can be removed but is not replaceable by the user. On this side we can see that the clip is screwed onto the bracket. 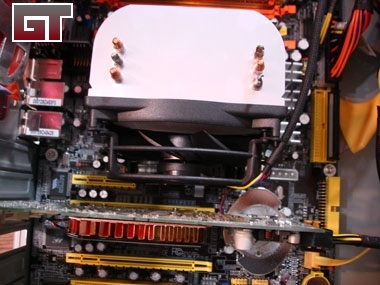 This allows users who need to change the orientation of the heat sink for it to fit their motherboard to do so. 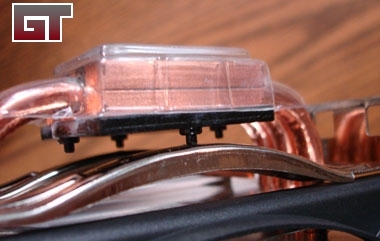 This version also has the bent fins to cool down the voltage converters. 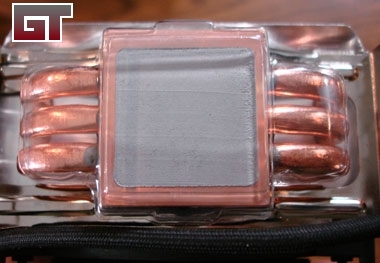 They also made sure the wires were sleeved and the heat shrink looked good when they put this together. 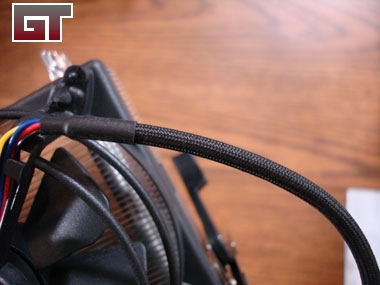 The fan is attached to the hard shell by clips with rubber ends that act like the shocks on your car. 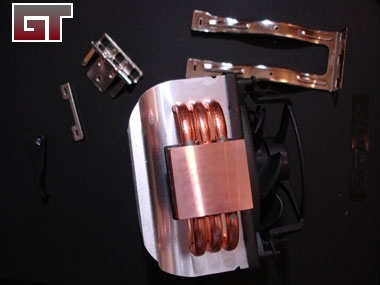 This is part of Arctic Cooling's anti-vibration setup. 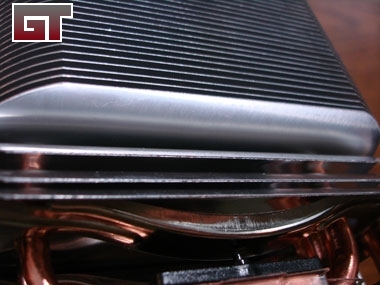 Once again it comes with Arctic Cooling's ARCTIC MX1 thermal grease. Having tested it during my Freezer 7 Pro review and finding it inferior to Arctic Silver 5, I removed it and used the benchmark AS5 from the start. 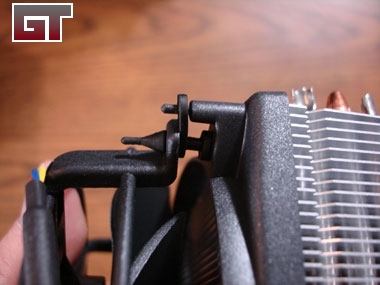 The little black screw end is used to hold the mounting bracket in place. 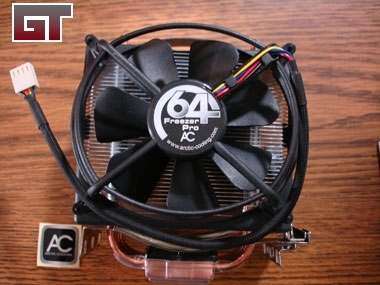 The current setup would have me mounting the Freezer 64 Pro in my system in a way that I don't really like. Having the fan pull the hot air right off of the back of my video card certainly isn't going to give me the best cooling. If I turned it around 180 degrees, I'd be pulling hot air from the top of the case (remember, hot air rises) and off the PSU. Therefore, I decided to change things around a bit. First I removed the screw holding the mounting bracket tension lock on, and then everything comes apart easily. 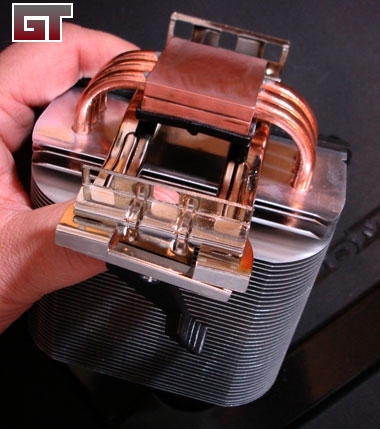 Then I put things back together with the tension lock on the backside of the heat sink. Now I can pull the coolest air through the heat sink, in from the front of the case and out the back. It's worth noting that setting the heat sink up this way does block one of my RAM slots, but as I only use two, it isn't an issue.